Josh has worked in Cape York for the past 10 years as a Remote Area Nurse (RAN) and now as the Director of Nursing. His peers describe him as being an excellent, kind and engaging clinician in remote practice and a very capable and caring manager. With this expertise, Josh shows excellence in mentoring for the development of remote nurses. 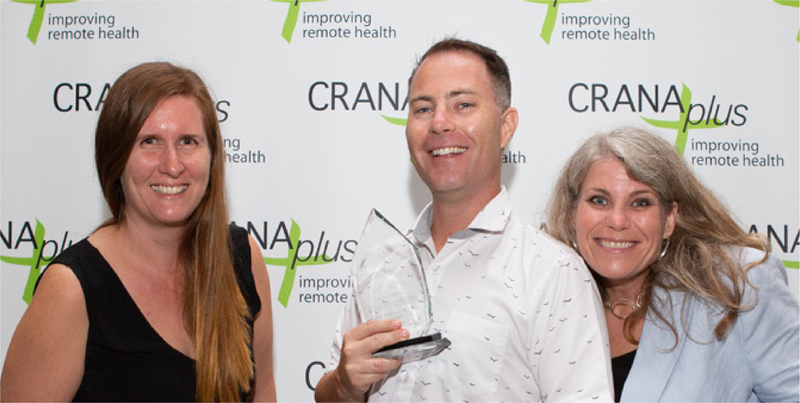 Described as an ambassador for the continued development of the remote nursing workforce, Josh is a committed RAN and is dedicated to improving the health outcomes of the communities in North Queensland. He is currently involved in a program which supports the introduction of ‘early career nurses’ into remote primary health care centres, as well as being supportive to all members of his staff. The Excellence in Mentoring Award was presented by RAHC’S Clinical Coordinators, Fiona Hildebrand and Lisa Breakwell.